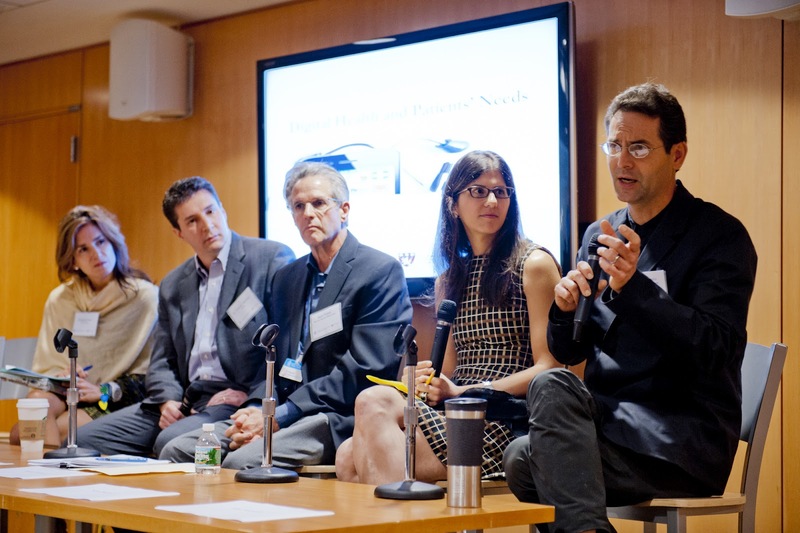 Today, I joined Kevin Tabb (CEO at BIDMC), Alexandra Drane (Eliza Corp), Nina Nashif (Healthbox), Graham Gardner (Kyruus), and Mark Chalek (Chief of Business Ventures at BIDMC) to explore Digital Health and Patients' Needs via a very energetic panel discussion. Key themes we discussed - in order to create value for patients and families, an entirely new generation of products and services will be needed. Ideas ranged from "Zagat" type guides to help patients select providers based on personal preferences, easy ways for patients to find appropriate clinical trials, and 'Facebook for Health' as a means for patients to seek and exchange data with a community of caregivers, family members, and supporting services. In a world of healthcare reform, there is a need for better capture of data including patient generated data. There is a need for more exchange of information for care coordination and population management. There is a need for more analytics and decision support. All of this must done while protecting patient privacy. Although the conversation started with buzzwords like "cloud", "mobile", and "BYOD", it rapidly changed focus to patients and their families. One thing is clear. In order for an ecosystem of products to develop which enhance the experience of healthcare, there must be more data liquidity. Silos of information and silos of care must be eliminated. Massachusetts goes live with its statewide HIE on October 15, 2012. Several institutions in the Commonwealth have already implemented distributed/federated queries for clinical trials and clinical research. State government is working on infrastructure to record and exchange consent preferences. The ingredients for innovation are well aligned - funding, political will, and infrastructure. Our rate limiting factors to improving the status quo are fear of the unknown and the challenges of managing the change itself. romotaxugWithiNot to be forgotten were the many comments from the audience reminding us that technology should not replace or supplant the human interactions that patients and their families need during times of stress. Technology, smartly deployed, can free up providers to do what they do best, and to stay better connected to patients to help them stay healthy -- not solely to treat them when they are afflicted. My suggestion is straightforward in its simplicity, and can utilize the latest technology or that old stand-by, paper and pencil. Give each patient an outline of the intended treatment plan, with a list of expected steps along the way. Should there be a need to change that plan, as new information is developed, i.e., from a CT scan or an infection, then modify the plan. And review that plan with the patient and family at each step along the way. The technology can be used to deliver the info, but the real missing link is the desire to have a plan of action. Here's some timely contributions from your friends in the EHR interface deployment trenches in California. Over the past six months CHHS and the community HIOs in California have developed a "Zaggat Style" rating service to publicly evaluate and display the cost, ease of use and completeness of clinical data interfaces offered by certified EHRs. The campaign is called "HIE Ready." The effort is led by Bill Beighe of Santa Cruz HIE and Dave Minch of Health Share Bay Area. While the version 1 release of the EHR vendor interface ratings will be focused on EHR deployments in California, the goal is to make this rating process national, so that buyers of EHRs can look at the rating of their product. The initial release of "HIE Ready" will be at the annual "HIE Stakeholder Summit" to be convened by CHHS in Sacramento on November 1. As one of the worker bees in this effort, I want to give a shout out to e-MDs and to NextGen for their rapid field deployment of "HIE Ready" interface kits, and to encourage other EHR vendors to follow suit. The sooner we have convenient access to comprehensive interface tools, the sooner the data silo walls can dissolve and the era of extreme data liquidity can begin. At Kinergy Health we love the concept of a "facebook for health" and have developed a private secure way to create a community for the doctors, service providers, and family around a patient. This community allows for the sharing of information and for discussion and learning to take place, supported by clinical facts.We are looking for some forward thinking clinicians to show how to take this capability and deliver truly personalized care. I would welcome suggestions of organizations that are willing to experiment. At Kinergy Wellbeing we cherish the thought of a "facebook for steadiness" and have advanced a private secure route to make a neighborhood for the experts, aid suppliers, and family around a patient.